Sometimes you finish a book and the review comes so easily you wonder why you ever have trouble banging out 500+ words on your latest read. And sometimes... it doesn't. Go go gadget mini-reviews! I've got three, totally unrelated books for you today that were just dandy but didn't inspire long-winded write-ups. 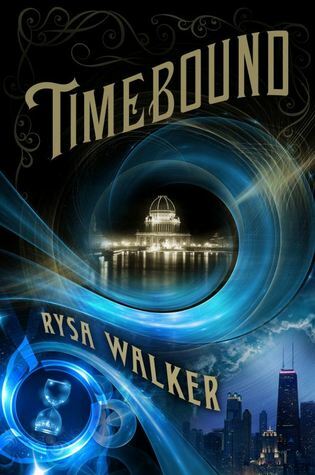 Timebound by Rysa Walker came highly recommended by my light-reading muse, Karsyn of KaKiJoKoJa. Our teenaged protagonist, Kate, reconnects with her grandmother and discovers that Gran's quirky necklace does more than glow–it's a key that allows her to travel through time. At the risk of losing her life as she knows it to other time-travelers bent on changing history, Kate gets a crash-course in time travel and heads to one of the nineteenth century's world's fair in search of answers. Timebound was a fun, fast-paced story to disappear into for a few hours. Kate is a sharp and funny heroine, and I enjoyed learning about CHRONOS (the time-traveling society), how the key necklaces work, and Kate's grandmother's adventures as a time-hopping historian. I quickly grew weary of the romantic aspect of the book. Kate waffles between her time-traveling lover Kiernan (who she has yet to really get to know in the first installment, and, therefore, I can't really care about either) and Trey, a classmate of hers from a different timeline. Trey seemed a bit too perfect, and he definitely suffered from a nasty case of instalove. Likewise, I couldn't get behind Kate telling everyone who would listen about her time-traveling granny AND having them believe her. It just wouldn't happen! While I enjoyed the framework and main thrust of this one, I could have done without a few things (primarily the love triangle) and likely won't be picking up the sequel. 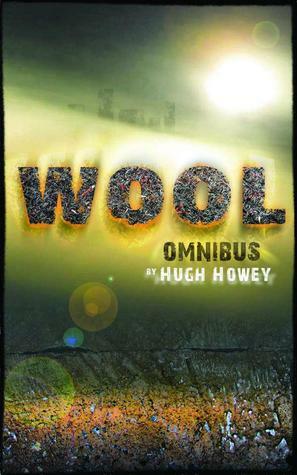 Wool Omnibus by Hugh Howey combined five shorter novels about life in (and out) of an underground silo humanity built after the environment went to toxic, hostile hell. Citizens who question the wisdom of the silo, or express a desire to go outside, are sentenced to "cleaning," which consists of being sent outdoors to clean off the sensors of the silo's cameras before suffocating to death. The bodies lay in view of the cameras, a powerful reminder to those inside of what can happen if they begin to doubt. We follow the story of the silo's new sheriff-in-training, Juliette. Initially reluctant to leave her mechanic job and community in the depths, she becomes entangled in investigating a few recent deaths that seem far too convenient to be suicides. When Juliette herself is sentenced to clean, the story is just beginning. Eerie dystopia in the wake of biological apocalypse? Check. A strong but flawed female lead? Check. Twists and turns along the way? Check. This one has all the makings of a story I would love, and it mostly succeeded. Its biggest flaw lay in the writing itself—for instance, Howey really liked to remind us of Juliette's past as a mechanic, so nearly every problem she encountered became a metaphorical (if not literal) rusty bolt or broken water pump. It's not that it was a bad comparison; it just got old. Also, I never got a sense of what happened to make the world go kaput, and after a 500-page investment, I really didn't want to pick up the prequel to find out. 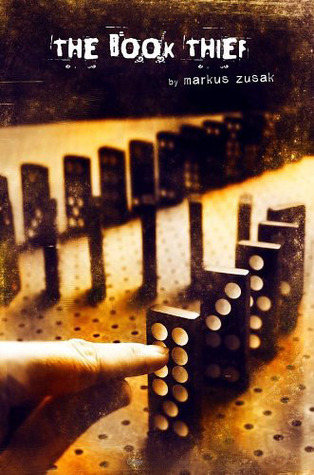 The Book Thief by Markus Zusak is about a young girl growing up in Nazi Germany at the height of Hitler's rule. Liesel Meminger is given over to foster parents at the age of ten, and her journey to their home includes her first foray into book stealing when she finds a guide to grave-digging (though I won't tell you why). Her love of reading and thieving serve as the thread that carries the reader through her adolescence, and her story is narrated by none other than Death himself. Another chunkster at 552 pages, readers have plenty of space in which to get to know Liesel, her foster parents Hans and Rosa, and her lemon-haired, wanna-be Don Juan best friend, Rudy Steiner, while Hitler and the Nazi party provide an ominous backdrop for our protagonist's adventures (and misadventures). Death's narration was both witty and poignant. All in all, this was a lovely story, and I don't know a book blogger who could resist a book about the wonders of reading. However, like I said in my introduction, I just don't have that much to say about it. I would definitely recommend it for someone looking for an absorbing, heartbreaking coming-of-age tale. Oooh, I loved The Book Thief, and plenty of people have told me to try Wool. I think I will! No worries! I did like a lot of aspects of it—the stuff with CHRONOS and the Cyrists was super cool! I just think it got bogged down in the romance for me. Timebound sounds so interesting... And that cover!! It was a cool one! A lot of the details about the time-traveling org were great. Acck! I bought Wool ages ago, and can't believe I haven't gotten to it yet!